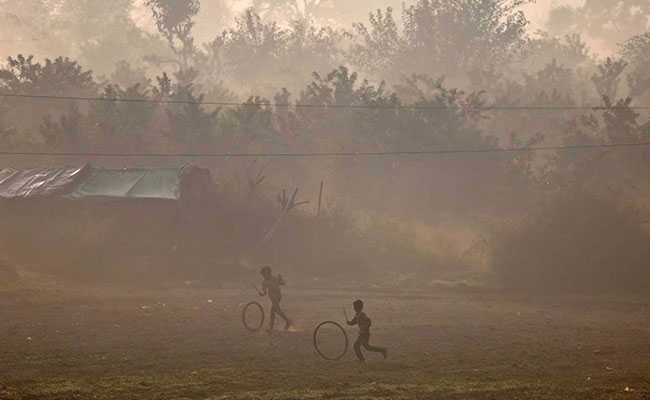 On the positive side, the centre's proposal for a National Clean Air Programme or NCAP recognises that recent policy interventions have only shown 'minor improvement' in levels of air pollution and that this is not sufficient - also, that addressing the problem requires looking way beyond Delhi & the NCR. All this constitutes probably a first by the government in tackling the problem on such a large scale. While public responses have been invited, the proposed policy needs to avoid certain pitfalls and be a global trend-setter. It's too timid and cautious, rather than being brave and bold, to have significant effect. This is a pity because both government and non-government agencies and individuals have an arsenal of excellent work ready for review and offering much of the data and solutions that the document seeks. Make no mistake about it, India could soon have the most polluted air amongst all large countries. In 2016, it saw the steepest rise in level of air pollution since 2010, while China actually saw a slight decline. For starters, the document should drop any traces of the 1970s-like paranoia of a foreign hand. It says international reports with various "aggravated figures" without validation on the Indian population complicates the issues by created a "flawed public perception". It goes on: international studies' data on deaths due to air pollution may "not be realistic". It calls for the need of "indigenous studies" and "more authentic Indian data and studies". This risks ignoring work that could be valuable to India as well as wasting time re-inventing the wheel. Incidentally, speaking of aggravated figures, while one foreign study put the number of deaths due to indoor air pollution at 1.24 lakh, the centre reportedly put it at five lakh annually. Aside from apparent issues of dissing 'foreign' data without any solid counter-data, this approach is shaky at best. Firstly, the NCAP contradicts itself by calling for information sharing with international cooperation as part of 'total' technology transfer! The fact is that there's already solid 'Indian' data, and Indian scientists have no hesitation in referring to 'foreign' data. 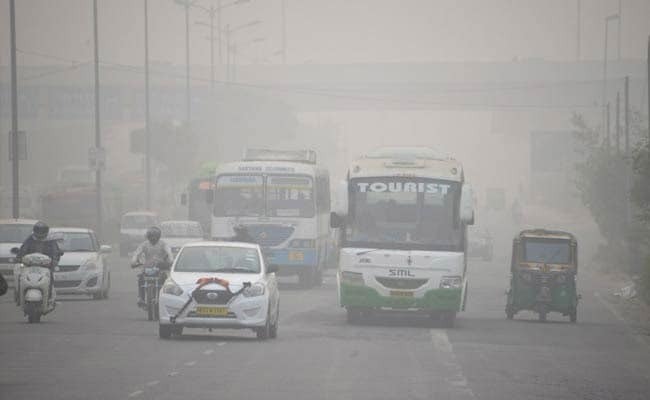 The centre's own CPCB has cited the Boston-based Health Effect Institute's report on how fine, particulate pollution (up to PM 2.5) was associated with increased daily mortality. Even the Supreme Court-mandated EPCA panel, led by Bhure Lal, cites HEI reports as well as others. 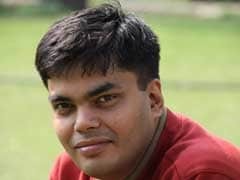 And there's world-class research done by Indian scientists, for example this one from IIT Bombay, as well as NASA-based scientists - their report has this startling statistic that "At current levels, 99.9% of the Indian population is estimated to live in areas where the World Health Organisation (WHO) Air Quality Guideline of 10 µg/m3 was exceeded." Its worldview apart, the policy fails to set any target by which to reduce air pollution even though just weeks earlier, the government had announced a 50% cut in five years. This is hard to understand. Because, for perspective, the EPCA has already said Delhi, for example, needs a 70% cut in PM 2.5 levels. So why not set emission-cut targets, not for any international treaty but for the sake of Indians? The policy also falls short by not mentioning the core issues with two, highly polluting fossil fuels - coal and diesel. One only has to see the success of shutting down south Delhi's coal-based Badarpur power plant, seen as a major PM 2.5 polluter, and contrast it with the pathetic, perennially bad air quality around the Singrauli coal belt. It has been rightly argued that for the next few years, India will need coal power to pull millions out of poverty. But keeping coal out of the NCAP is damaging. Similarly, diesel is fast losing favour in many global cities and countries, and for good reason too. It's been five years since the WHO said emissions of diesel engines are carcinogenic. And even Euro 6 vehicles, which India will have from April next year, have failed to meet the tighter emission norms - with a failure rate of 90%. The very least that can be done is that private diesel cars are disincentivised and banned either from crowded cities or altogether. There is of course no feasible alternative yet to diesel-engines for trucks and other heavy duty vehicles. There will be a push-back from the auto sector which says it contributes 7% of India's GDP. Is this why the government has dropped the idea of an Electric Vehicle policy? The Clean Air programme needs to say how it will tackle vehicular pollution more than what's being done currently and how it will work with the all-important auto sector. NCAP calls for several apportionment studies i.e. studies to identify the sources of pollution in several cities. This would be useful if we had time. We don't; air pollution is a full-blown crisis now. Fortunately, sufficient apportionment studies have been done by institutions like IIT-Kanpur. Let's use those to start targeting the sources across cities straight-away. Further course-correction can be done as and when further studies and reports are completed. The policy rightly recognises the need to quickly install more air quality monitors across the nation. But instead of over 300 new manual ones, to take the number to 1,000, make as many as possible 'continuous' monitoring systems. While there are cheaper alternatives for PM pollutants, the government ones are a bit more complex and cost about Rs 1.2 crores. But considering how critical real-time data is for reporting and the health of people, it's really a small price. It's not as though there are no funds. The NCEEF or National Clean Energy and Environment Fund reportedly has tens of thousands of crores. And this entire Clean Air programme has been billed for a mere Rs 637 crores. Peanuts, given the scale of the problem. There is virtually no word on how anti-air pollution measures will be enforced, apart from the little that's in place in and around Delhi. As the experience of the last few years has shown, from the farm fires to polluting trucks violating bans, enforcement is the weak link. While the proposed plan does talk about putting in place institutional structure, it appears to be limited to several committees for "focused dialogue and coordination". Important as that it is, the crying need is for boots on the ground; empower local police if necessary to enforce anti-pollution measures. As a parent, last winter it was incredibly frustrating to see one's kids go off to school with pollution levels hitting 'very poor' and 'severe'. Yet the local government, 'green' tribunal, police and what not were passing-the-parcel and not shutting schools down. Whether it was because of politics or red-tape, GRAP (Graded Response Action Plan) was ineffective when one needed it the most. It needs a much shorter response time, not 48 hours or more. Even the quadrupling of parking fees under GRAP backfired with Delhiites choosing to park outside designated areas.